In a country like India where violence against women is rampant, acid attacks are common. 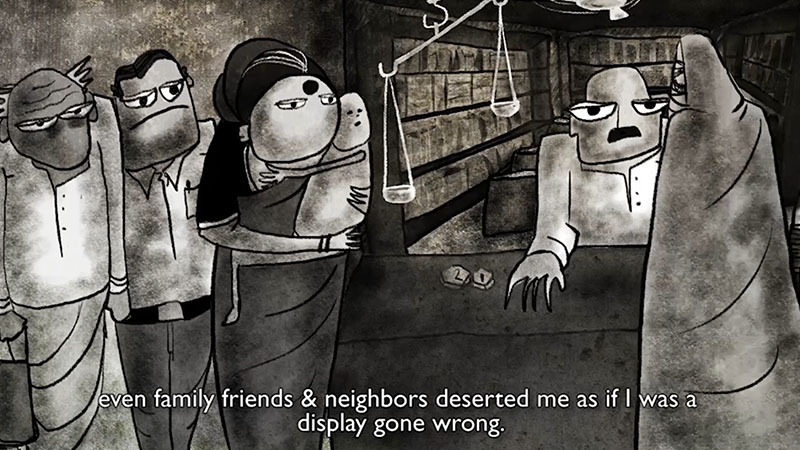 This 2-D hand-drawn animation ‘Chasni’ tells the story of a woman whose face has been disfigured due to an acid attack. She needs to leave the house to get tea. For most of us, it just means a simple trip to the grocery store, but for her stepping out of the house is an arduous journey. People on the streets treat her like a circus act. They stare. She has survived an incomprehensible, misogynistic crime. Even as a survivor, the social stigma will scar her for a very long time. This is a day in her life, how she is shunned even though the crime and disfigurement was not her fault or her doing. Abishek’s debut short film, ‘Chasni’ was conceived after a nurse died from injuries in an acid attack. Nine months after her death, her attacker was arrested. Reports said that it had been her neighbour who had attacked her out of jealousy. 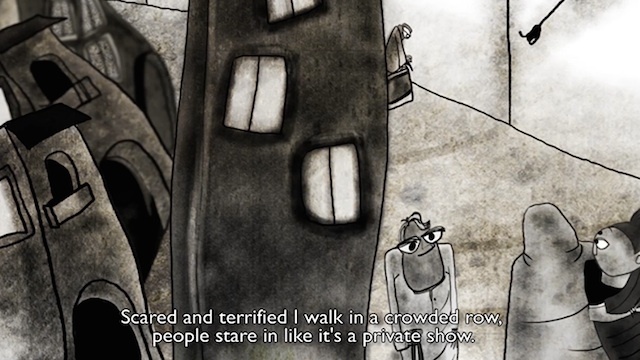 This story has travelled to animation and film festivals in Melbourne, Croatia, India and Bulgaria. It was awarded Best Short Film at Indian Film Festival of Melbourne, Best Animated Short Film at Filmsaaz in India, Best 2D Short Film at DELHI CG Animation Awards in New Delhi, Bronze Award at JAMUURA online film festival, and Best Short Film at Basudha Art & Film Festival. 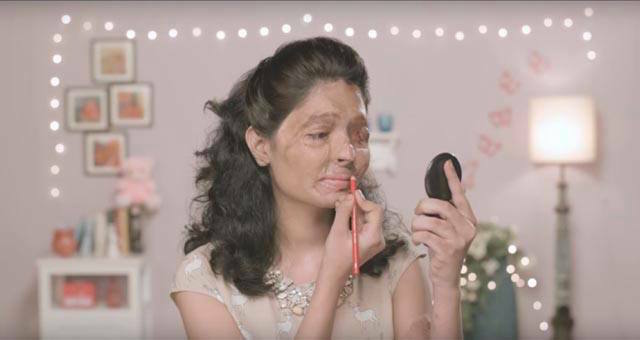 Five acid attack survivors recently appeared in a fashion photoshoot as a message of empowerment and solidarity with others. The initiative was mooted by Rupa, a survivor who lived out her dream of being a fashion designer. Is molest justified by Bollywood’s standards & our society?